Everyone knows that laser die cutting machine need to use laser die cutting focus lens for a long period of time. laser die cutting focus lens. They often need to replace some of them to ensure the performance of laser die cutting machine. 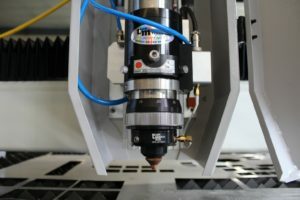 The nozzles and lenses are the most frequently replaced items on laser die cutting machine.Focusing the lens is to focus the laser into one focal point, and the smaller the focal point, the smaller the divergence angle of the light. As long as the lens on laser die cutting machine is clean and the light transmittance is high, the cleanliness of the focusing lens on laser die cutting machine is very important. In addition, the laser’s energy density is very high, and the clean lens on laser die cutting machine needs to use the water circulation to cool. Otherwise it will cause the lens of laser die cutting machine heated and deformed, which will seriously affect the cutting quality. So what method can extend the life of the laser lens on laser die cutting machine? 2. The slag produced by the laser die cutting blows the auxiliary air downward from the cutting nozzle of laser die cutting machine.thereby greatly reducing the damage of the waste residue to the lower part of the focusing lens on laser die cutting machine. 3. If it is an ultra-high-speed perforation.The perforat oil can spray before the perforation so that the slag does not fall vertically toward the torch but falls to the side.This reduces the damage to the lens on laser die cutting machine. 4. Minimize the use of ultra-high-speed perforation.Use conventional perforation to extend the life of the focusing mirror on laser die cutting machine. 5.So It is best to perform a cleaning and maintenance on the focus lens before each boot operation. Although it is a troublesome task to clean and maintain the focusing lens of the laser die cutting machine.It is a very significant thing for the enterprise to save the cost of extending the service life of the lens on laser die cutting machine. 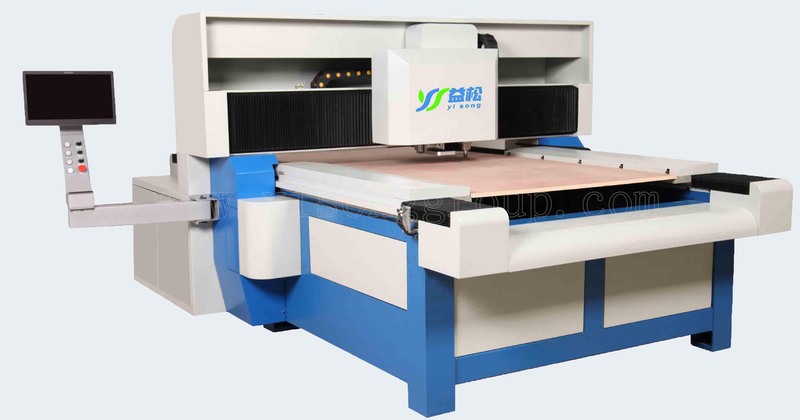 Here we released Yisong die board sawing machine, no laser cutting and no need laser lens, we use saw blade to cut and it's the only consumables, which is easy to get replaced and cheap price.